I drew this picture last week as I was thinking about the fears we grow up with, and how, in the process of healing and growth, we must once again face the fears we grew up with. This is a picture of my two year old son, holding a stuffed lion in his arms, while reaching up about to touch a real lion. It is my prayer that he will be able to face the fears he has in his life — even some fears that will be caused by my imperfect parenting — and face them courageously. In counseling, one of the things we help clients do is to face their fears. It’s hard to predict when the person is ready to face their deepest fears in the process of counseling, but when it happens, it is the most courageous thing we could ever witness in that person’s life. It is like stepping into the lion’s den and facing the lion they’ve been avoiding all their life. We all have these lion-like fears, and often times, these fears began when we were little. When a person faces their fears, it is as if they are going back to place where that fear originated to breathe grace, life, and love back into that part of their story. 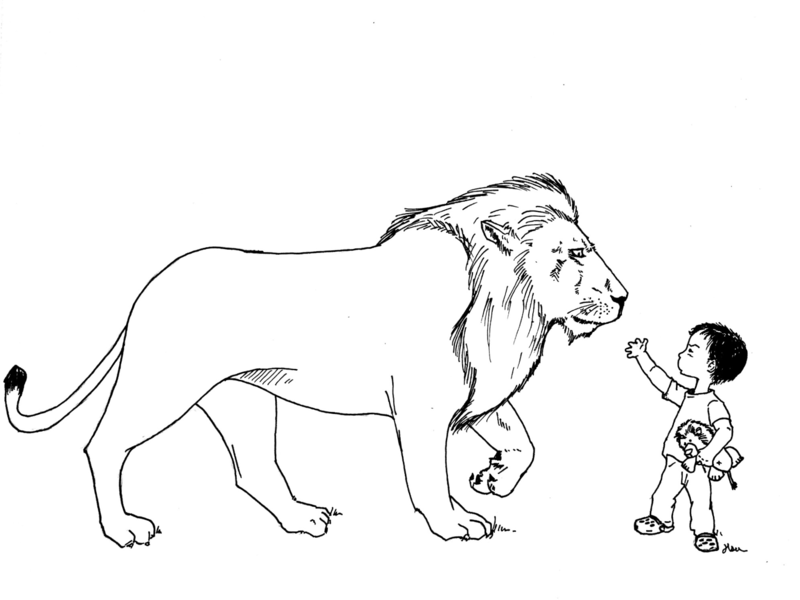 This entry was posted in Psychology, Thoughts on Life and tagged bravery, childhood, counseling, courage, facing fears, fear, the lion and the boy, therapy. Bookmark the permalink.